All this warm weather lately has been lush (another L, see what I did there). We have thoroughly enjoyed being able to play in paddling pools and spending lots of time outside. 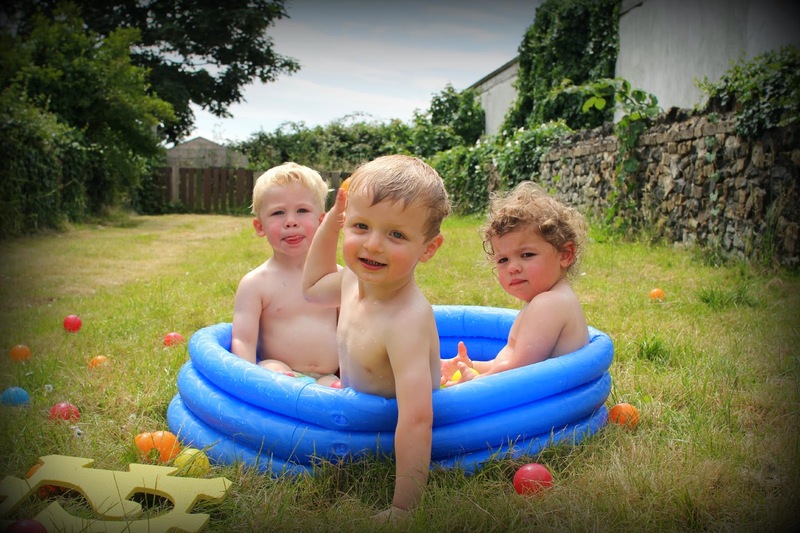 So here is Ami and here two little friends enjoying a bit of lazing in the pool. Well to be honest they were so excited one of them took their nappy of and then they all followed suit. Great picture, looks like a good place to be on a hot day! So cute! I remember mine all cramming into paddling pools when they were little!